Blink and Rogue, two of London’s leading commercial production houses, will form an ambitious new venture next month. While each company retains its own distinct brand and roster, Blink and Rogue will use their shared culture and resources--spanning commercial production, automotive wherewithal, animation, long-form entertainment and music production--to maximize creative opportunities for their directors and cost-effective solutions for their clients. The partnership actually brings together six existing entities: Blink and Rogue in commercial production, award-winning companies representing major filmmaking talent like Dougal Wilson and Sam Brown; Carnage, a Rogue-backed shop launched in 2016 with production expertise in the automotive ad/marketing sector; Blinkink, the Cannes Grand Prix-winning animation studio; long-form entertainment house Blink Industries; and Major Tom/Village Green, the music production component of the Blink family. “We already have key experience in getting all our constituent elements dancing elegantly together. The beating heart of this idea is that we will be so much more than the sum of our parts. 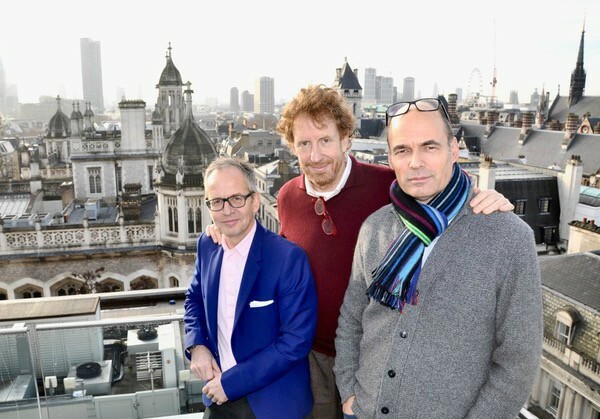 This union prefigures our belief that a group of complementary specialisms at the top of their games, working together harmoniously and seamlessly to create the very best work possible across all moving media, is what our industry needs now and in the future,” said James Studholme, Blink’s chairman. Crompton added, “Being chair of the Arrows (British ad competition) makes you all too aware of the new split in quality levels and I passionately feel the need to always be amongst the best. And Blink are market leaders in that department having been Production Company of the year three times. They’ll push us and we’ll push them. And it helps that Rogue and Blink have been friends and mutual admirers for many years and share common values, vision and ambition”.